On 3 May 2009, at the Ordination to the Priesthood of nineteen deacons in Saint Peter’s Basilica, Pope Benedict XVI gave a momentous teaching on prayer in the life of the priest. In my own service to priests, I find that a recurring question is how best a priest can go about praying . . . praying in such a way that his life is prayer, and that prayer is his life. This is precisely the question that the Pope Benedict addressed five years ago. My own comments follow each section. Here I would like to touch upon a point that is particularly close to my heart: prayer and its link to service. We saw that to be ordained priests means to enter, in a sacramental and existential way into the prayer of Christ for “His own.” Out of this, for us priests, flows a particular vocation to prayer, in a strongly Christocentric sense: we are called, that is, to “abide” in Christ — as the Evangelist John loved to repeat (cf. Jn 1, 35-39; 15, 4-10) — and this is realized especially in prayer. Our ministry is totally bound up with this “abiding”, which equals praying, and from this derives its efficacy. There is an extraordinary density in this excerpt. First of all, the Holy Father confesses that the relationship of prayer to service (diakonìa) is particularly close to his own heart. Then, like the Johannine eagle, he rises to the heights of the mystery of priestly prayer; it is nothing other than an ongoing entrance — or “passing into” — the prayer of Christ for His own, for all whom the Father has given Him. “I came,” He says, “that they may have life, and have it abundantly” (Jn 10:10). Pope Benedict XVI then affirms that priests have a particular vocation to prayer. “Wait just a minute,” I can hear some of my brother priests saying, “I thought that monks had a particular vocation to prayer. My vocation is to ministry.” (A tired old slogan!) Throughout his pontificate Pope Benedict sought to close the artificial gap between monastic spirituality and ministerial spirituality. The facile affirmation, “We are not monks” has been used to justify slacking off in a multitude of ways. The Curé of Ars was not a monk — he was the quintessential parish priest — and yet his life surpassed in prayer and in austerity that of the most observant monks in their cloisters. Has reached at length life’s eventide. Just as Christ, on His mission of salvation, came into this world from the bosom of His Father, without leaving the Father’s side, so too does the priest go forth on His mission from the Side of Christ, and without leaving the Side of Christ or, if you will, the tabernacle of His Sacred Heart. The priest is called to “abide” in ceaseless prayer, to go forth enveloped in prayer and to bring the sweet fragrance of his prayer wherever he goes. “But thanks be to God,” says the Apostle, “who in Christ always leads us in triumph, and through us spreads the fragrance of the knowledge of Him everywhere. For we are the aroma of Christ to God among those who are being saved and among those who are perishing” (2 Cor 2, 14-15). In such a perspective we must think of the various forms of the prayer of a priest, first of all daily Holy Mass. The Eucharistic celebration is the greatest and highest act of prayer, and constitutes the center and wellspring from which all the forms receive their “lifeblood”: the Liturgy of the Hours, Eucharistic adoration, lectio divina, the Holy Rosary, and meditation. All these expressions of prayer have their centre in the Eucharist, and together bring about in the day of the priest and in all his life the fulfillment of the word of Jesus: “I am the good shepherd, I know My own and My own know Me, as the Father knows Me and I know the Father; and I lay down My life for the sheep” (Jn 10, 14-15). Concretely, how does a priest go about abiding in Christ, remaining in His Heart, just as He abides in the bosom of the Father? By persevering in prayer. “Pray constantly,” says Saint Paul (1 Th 5,17). Pope Benedict XVI presented priests with a Rule of Prayer: note well that this represents the daily minimum requirement. If you are too busy to do this, you are simply too busy. If you are too tired to do this, you are simply too tired. If you have no interest in doing this, your vocation is in danger and you are cheating your people of the “fragrance of Christ” that only a priest who prays always can spread. What is Father Everypriest’s daily Rule of Prayer according to Pope Benedict XVI? Here are the elements of the Rule in the order in which the Holy Father presents them. 1) Daily Holy Mass. Daily. Not 6 days week, not 5, or 4 days a week, but daily. The liturgical cycle in its hourly, daily, weekly, and yearly rhythms is given us precisely to facilitate our “abiding” in Christ hour by hour, day by day, week by week, and year after year. Integral to the liturgical cycle is daily Holy Mass. The Eucharistic Sacrifice sends the divine lifeblood coursing through one’s spiritual organism. Without daily Mass, the priest will succumb to spiritual anemia. 2) The Liturgy of the Hours. The Hours give rhythm and grace to daily life. They are a school of discipline (discipleship), a supernatural system of irrigation channeling grace into every moment of the day, a privileged way of offering thanks in communion with all who, “in heaven, on earth, and under the earth,” confess the Name of Jesus and bend the knee before Him. A priest who loves the Divine Office will enjoy an interior life that is sane, and sound, and wholly ecclesial. Fidelity to the Divine Office refines the Gifts of the Holy Spirit, sharpens one’s discernment, and imparts to everything the priest does a certain Eucharistic and doxological quality. 3) Eucharistic Adoration. Are you surprised? Eucharistic adoration has known a kind of springtime since The Year of the Eucharist (2004-2005) that was also the year of the death of Pope John Paul II and of the election of Pope Benedict XVI. Two Americans known for loving their brother priests and ministering to them tirelessly — Archbishop Fulton J. Sheen and Father Gerald Fitzgerald of the Holy Spirit — insisted on a daily hour before the Blessed Sacrament as a sine qua non of priestly spirituality. The priest who adores the Blessed Sacrament exposes his weaknesses and wounds to the healing radiance of the Eucharistic Face of Jesus. Moreover, he abides before the Eucharistic Face of Jesus as the representative of his people: of the sick, the poor, the bereaved, and of those locked in spiritual combat. The priest who looks to the Eucharistic Face of Jesus, and draws near to His Open Heart in the Sacrament of the Altar, will, just as the psalm says, be radiant, and he will not be put to shame. 4) Lectio Divina. Again — a monastic thing? No, a Catholic thing. The quality of a priest’s preaching is directly proportionate to his commitment to lectio divina. Neglect of lectio divina leads to mediocre preaching. Opening the Scriptures is like opening the tabernacle: therein the priest finds the “hidden manna” his soul craves. The four steps of lectio divina can be accommodated to any length of time: 1) lectio, i.e. the Word heard; 2) meditatio, i.e. the Word repeated; 3) oratio, i.e. the Word prayed; 4) contemplatio; i.e. the indwelling Word. Lectio divina cannot be occasional; it is not a random pursuit. Learn to say, “I am not available.” Get over feeling guilty about taking time for God! 5) Holy Rosary. Yes, the daily Rosary. It’s a spiritual lifeline that has saved many a priest from spiritual shipwreck. The brilliant and holy exegete and founder of the École biblique in Jerusalem, Father Marie-Joseph Lagrange, was observed praying fifteen mysteries of the Rosary each day, and asked, “Why, Father, do you, a great exegete, need to pray the Rosary?” “Because, ” he answered, “it decapitates pride.” I would add that not only does the Rosary decapitate pride; it decapitates each of the seven capital sins: pride, greed, lust, anger, gluttony, envy, and sloth. With the passing of the years I have come to appreciate the profound wisdom of an old Dominican priest to whom I used to make my confession years ago. Invariably, after confessing my miseries, Father would ask, “Do you say the Rosary, son?” And invariably I would reply, “Yes, Father.” And then he would say, “Aye, then you’ll be alright.” A priest who prays the Rosary daily will be alright and, almost imperceptibly, will grow in purity and humility. 6) Meditation. Meditation can mean many things, even within our Catholic tradition. It is integral to the prayerful celebration of Holy Mass and the Hours. “it nourishes Eucharistic adoration. It is the second “moment” of lectio divina. It is the soul of the Rosary. In my own experience, meditation is related to “remembering the things the Lord has done.” Saint Gertrude the Great, a model of the mystical life grounded in the liturgy, used to say, “A grace remembered is a grace renewed.” Understood in this sense, meditation, by recalling the mercies of the Lord in the past, infuses the present with hope, and allows the priest to go forward with a holy boldness. Is it necessary to set a period of time apart for meditation as such? That depends on whom you ask. The Carmelite, Jesuit and Sulpician traditions would hold fast to some form of meditation as a daily exercise. The monastic tradition has, on the whole, taken a more supple approach to meditation. It is a daily practice, but one diffused in every form of prayer, including the liturgy itself. One learns to pace one’s prayer, to pause, to breathe, to linger over a phrase, a word, or an image. Whether one espouses the “modern” methods” or the monastic approach, meditation is an integral to every priest’s daily Rule of Prayer. In fact, this “knowing” and “being known” in Christ and, through Him, in the Most Holy Trinity, is nothing other than the truest and deepest reality of prayer. The priest who prays much, and who prays well, progressively becomes expropriated of himself and ever more united to Jesus, the Good Shepherd and Servant of the brethren. In conformity with Him, the priest also “gives his life” for the sheep entrusted to him. No one takes it from him; of himself he offers his life, in union with Christ the Lord, Who has the power to give His life and to take it upon again, not only for Himself, but also for His friends, bound to Him by the Sacrament of Orders. In this way the very life of Christ, Lamb and Shepherd, is communicated to the whole flock, through the mediation of consecrated ministers. “The priest who prays much and prays well” — what a marvelous phrase! It sums up Pope Benedict XVI’s teaching on the subject. What is the fruit of praying much and praying well? A progressive, and I would add almost imperceptible, death to self and rising to newness of life in Christ Jesus, for the sake of His Spouse, the Church. The priest who prays much and prays well will, sooner or later, find himself drawn into the mystery of Christ Priest and Victim. He will learn to stand at the altar not only as the one who offers the Sacrifice, but as the one who is sacrificed, becoming one with the immolated Lamb. This is the secret of a fruitful priesthood. 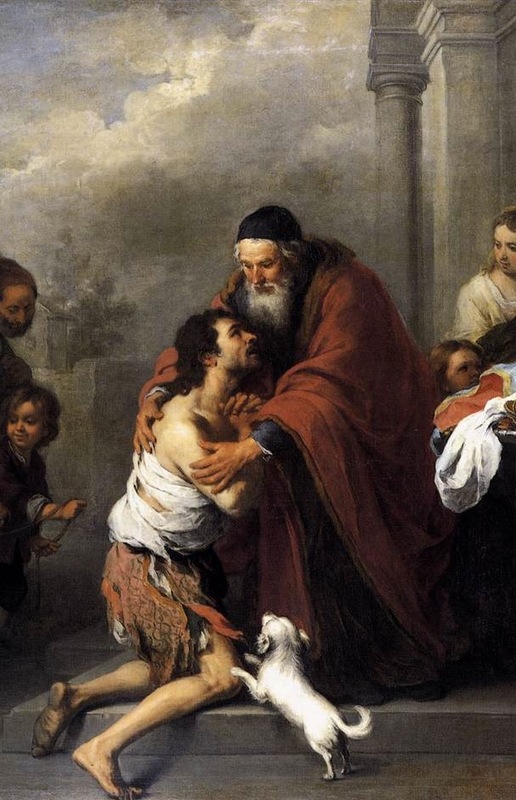 “Give your blood,” said one of the Desert Fathers, “and receive the Spirit.” Through the victimhood of the priest, the entire Body is quickened and sanctified. “And for their sake I consecrate myself, that they also may be consecrated in truth” (Jn 17, 19). The liturgy presents Saint Jerome today as the “man who meditated on the law of the Lord day and night” (Ps 1:2). Thus did he bring forth “fruit in due season” (Ps 1:3). The “law of the Lord” in today’s Entrance Antiphon is the Word of God, “alive and active” (Heb 4:12). It is the Word that springs to life, rising from the pages of Sacred Scripture, so often as we listen to it proclaimed (lectio), repeat it (meditatio), pray it (oratio), and remain with it in an adoring silence (contemplatio). Psalm 1 links the ceaseless meditation of the Word of God to fruitfulness. “He shall be like a tree planted near running waters, which shall bring forth its fruit, in due season” (Ps 1:2). The fruit promised in the psalm is fulfilled in the mystery revealed by Jesus while at table with his disciples on the night before he suffered: “By this my Father is glorified, that you bear much fruit” (Jn 15:8). Lectio divina is the secret of supernatural fecundity. “If you abide in me, and my words abide in you, ask whatever you will, and it shall be done for you” (Jn 15:7). The fruits of the Holy Spirit — the evidence of a thriving, healthy inner life — flourish wheresoever the Word of God is proclaimed (lectio), repeated (meditatio), prayed (oratio), and held in the heart (contemplatio). 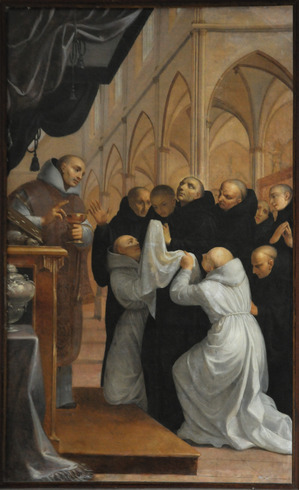 It is an irrefutable fact of monastic history, demonstrated by our dear old friend, Dom Jean Leclercq, that whenever lectio divina was neglected, monastic life fell into a sterile decadence, losing its vitality; it is also an irrefutable fact of history that whenever lectio divina is practiced with generosity, devotion, and zeal, monastic life brings forth the fruits of holiness in abundance. It struck me that today’s Entrance Antiphon (Novus Ordo Missae) is the very same text given us as the Communion Antiphon on Ash Wednesday. Did you notice that? It is more than a mere coincidence. Such liturgical resonances are important and, very often, contain teachings that we cannot afford to overlook. In the Benedictine tradition, Lent is the season par excellence of lectio divina. In Chapter 48 of the Rule Saint Benedict changes the daily timetable and breaks into the customary routine in order to make more time during Lent for the reading, repetition, and praying of the Scriptures. In Chapter 49 he tells us that the life of a monk ought to have at all times a Lenten character. It is above all the primacy given to lectio divina that is characteristic of Saint Benedict’s Lent; that, and the joy of spiritual desire (cf. RB 49:7) that is its fruit. By relating today’s Entrance Antiphon to the Communion Antiphon of Ash Wednesday, Saint Jerome emerges as a model of monastic holiness. If you would be fruitful, immerse yourself in the Scriptures. Make room, always more room, in your life for the Word of God. Lectio divina is the eucharist of the intelligence. It is a holy communion with Christ, in every way as real as our communion in the sacred mysteries of his Body and Blood. Listen to Saint Jerome: “I say the word of Scripture is truly the body of Christ and His blood; it is divine doctrine. If at any time we approach the Sacrament — the faithful know what I mean — and a tiny crumb should fall, we are appalled. Even so, if at any time we hear the word of God, through which the body and blood of Christ is being poured into our ears, and we yield carelessly to distraction, how responsible are we not for our failing? . . . The divine word is exceedingly rich, containing within itself every delight. Whatever you desire is found in it, just as the Jews recount that when they were eating the manna each one tasted the kind of food he liked. . . . We, in the flesh of Christ, which is the word of divine doctrine, received manna in accordance with and in proportion to our desire” (Jerome, On Psalm 147:12-20). Approach the Word of God in lectio divina as you approach the mysteries of Christ’s Body and Blood in Holy Communion; you will not be disappointed in your hope, nor will you be sent away empty. Come to lectio divina with hunger for the Bread of Life, come thirsting for the living water promised by Christ. If you are weak, you will find in lectio divina comfort and strength. If you are weary, you will find refreshment. If you are melancholy, cranky, or depressed, you will find joy, serenity, and good cheer. If you are tempted against purity or disturbed by your passions, you will find in the chaste Word of God a remedy that cleanses and pacifies the heart. If your life has become sterile, you will find in lectio divina the secret of spiritual fecundity. If you are eaten up by jealousy, or poisoned by rancour, or incapable of forgiving someone, eat the Word of God; it is the antidote for all such bitterness and sin. If you have lost your taste for the things of God, you will recover it in the Word of God. If you seem never to have enough time to do things, it is because you give too little time to the Word of God. Consecrate yourself more generously to lectio divina, hold to it unswervingly, and you will find, to your amazement and delight, that you will have time to do all other things besides. Are you are “anxious and troubled about many things” (Lk 10:41)? “One thing is needful” (Lk 10:42): the Word of God. The Communion Antiphon of today’s Mass is taken from the prophet Jeremiah, but the Church, with the freedom in the Holy Spirit that characterizes her liturgy, places the prophet’s words in the mouth of Saint Jerome: “You words were found and I ate them, and your word was to me a joy and the gladness of my heart” (Jer 15:16). 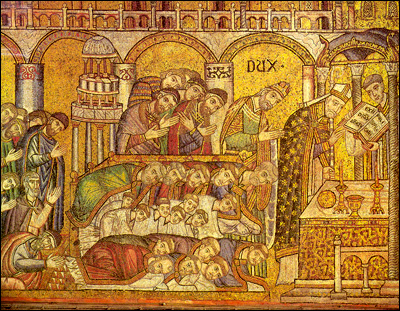 “And I ate them” — the connotation is Eucharistic. The eating and drinking of the Word of God increases in us hunger and thirst for the mysteries of Christ’s Body and Blood. The table of the Word of God compels us to approach the table of the Most Holy Eucharist. All lectio divina, be it done all together liturgically or done individually in solitude, has a Eucharistic finality. Lectio divina is the best preparation for Holy Communion. Holy Communion, in turn, illumines lectio divina with a divine brightness. May Saint Jerome obtain for us today the grace of lives made fruitful by the Word and wholly eucharistified by the mysteries of Christ’s Body and Blood. The Holy Rule stabilises our monastic life; it provides us with a pattern of order, harmony, and peace. It protects us against the tyranny of subjectivism and the distortions of relativism. The Rule, being a distillation of the Holy Gospel for monks, is the objective standard by which all things are measured rightly. It is a privileged vessel of the wisdom of Christ, “in whom are hid all the treasures of wisdom and knowledge” (Colossians 2:3). An old monastic adage says, Serva ordinem, et ordo servabit te, Keep the order [of life] and the order [of life] will keep you. The significant word in this adage is the verb servare, which means to preserve, to cherish, to hold. A related verb describes the inward attitude of the Blessed Virgin Mary in Saint Luke’s Gospel: Maria autem conservabat omnia verba haec, conferens in corde suo, “But Mary kept all these words, pondering them in her heart” (Luke 2:19). It is in this sense that a monk is to keep the Rule; the Rule is to be pondered, held in the heart, and so interiorised that it begins to shape the outward man. To keep the Holy Rule is not the same as to abide by rules. A monk can keep all the rules outwardly without their affecting any real changes in the inner man. Love of the Holy Rule is not the same thing as the love of rules! Nothing renders monastic life more toxic than a narrow legalism. The text of the Holy Rule, received and cherished day after day, grows with a monk and causes him to grow into a new man. It gives him a distinctively Benedictine countenance, that is, a way of entering into relationships. It fashions in him a Benedictine soul: attentive, silent, obedient, humble, quick to praise God, and merciful. Our holy legislator’s humility seems to hide from his own eyes the wonderful laws of perfection comprised in his Rule, since he invites his disciples to seek them in that of Saint Basil and of the other Fathers. But, Saint Benedict, being filled with the Spirit of all the Just, as the author of his life tells us, we cannot doubt that his Rule contains all that is most perfect in the monastic state. For this reason, we were compelled to unite the observances belonging to the perpetual adoration of the Most Holy Sacrament so intimately thereto. And although this life of adoration encompasses what is most holy in Christianity, it never wearies of drawing beauty from the Holy Rule, in such wise that one can say that the sons of this great patriarch become, by this union, the hosts and sacrificial offerings of the Son of God in the divine Eucharist. This mystery was the wondrous pattern from which our glorious father drew so striking a resemblance to Jesus Christ by the consummation of his death at the foot of the altar. We shall share, in some way, in this grace, by endeavouring to become worthy of it by the faithful practice of the laws imposed upon us by the Holy Rule and by the present Constitutions. Thus will the mysterious life of death and sacrifice, to which we are vowed by profession, be wrought in us. 1. Before meeting anyone for spiritual counsel, humble yourself profoundly before God, acknowledging your inability to do the least good for souls without Him. “Separated from me,” says the Lord, “you have no power to do anything” (Jn 15:5). “We have a treasure, then, in our keeping, but its shell is of perishable earthenware; it must be God, and not anything in ourselves, that gives it its sovereign power” (2 Cor 4:7). 2. Offer this spiritual work as an act of love to Our Lord Who says: “Believe me, when you did it to one of the least of my brethren here, you did it to me” (Mt 25:40). 3. Efface yourself as much as possible so that Christ alone may act. You are but the humble friend and servant of the Divine Bridegroom. “The bride,” that is the soul, “is for the Bridegroom; but the bridegroom’s friend, who stands by and listens to Him, rejoices too, rejoices at hearing the Bridegroom’s voice . . . . He must become more and more, I must become less and less” (Jn 3:29-30). Talk and act in the name of Jesus Christ and in utter dependence on His Spirit. “If any man speak, let him speak, as one who utters oracles of God. If any man minister, let him do it by the power, which God supplies: that in all things God may be honoured through Jesus Christ” (1 P 4:11). 4. Seek not to attach souls to yourself. Beware of hidden motives of a self-serving natural order. Trusting in the grace of the Holy Spirit, orient those who come to you ad Patrem, towards the Father alone, Who reveals Himself in the Eucharistic Face and in the Heart of Jesus Christ. 5. Consecrate each and every soul who comes to you to the Immaculate Heart of Mary, Mother of Mercy and Mediatrix of All Graces. Exercise your spiritual paternity in synergy with her motherhood. “And His Mother said to the servants, ‘Do whatever He tells you'” (Jn 2:6).